B&W image of a Saunders card reader. 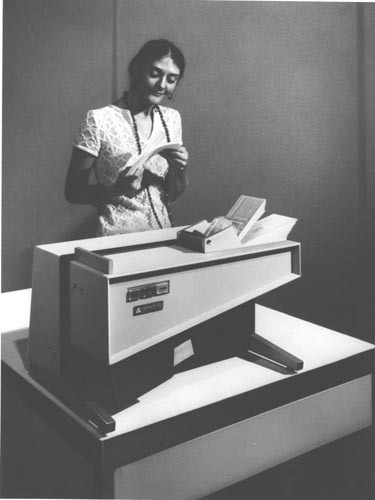 A woman is standing behind the reader fanning some punch cards. The reader has cards in the input hopper and cards in the output hopper. The device is on a table and has control buttons on the side.